Day 10 of 40. 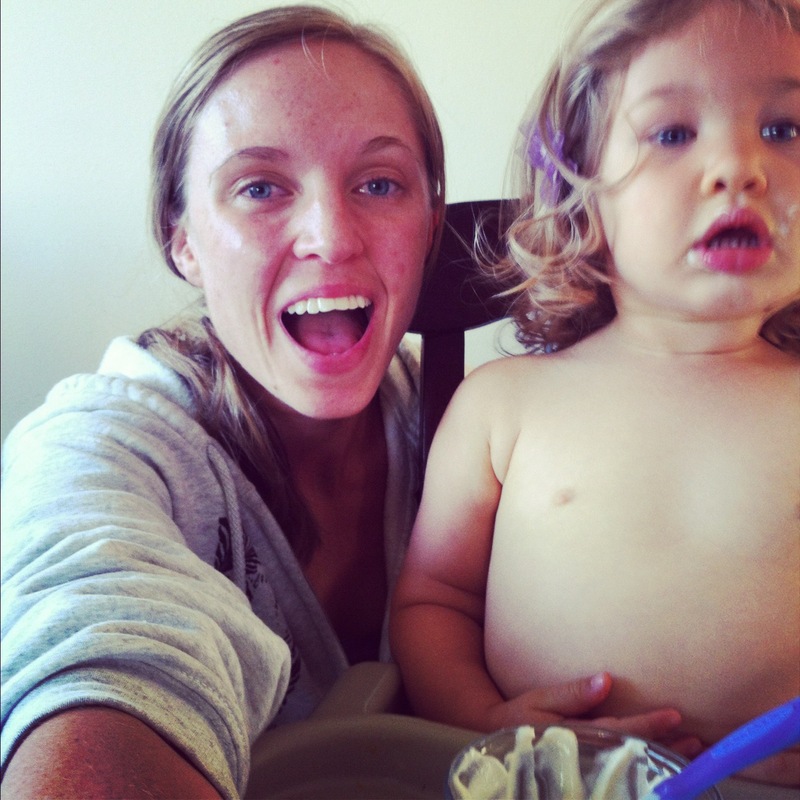 Naked face + Naked Baby! You know what stinks? Going to a party while you’re fasting from makeup. That’s what we did on the 4th of July, which was day 8 of the fast. It’s just that people tend to try and look nice at parties, and there I was, looking as if I had just woken up (it’s the blonde eyelashes). At least no one wanted to commemorate the holiday with a picture. Dodged a bullet on that one. Nothing worth noting with regards to the fast occurred on day 9, so we’ll just skip it. Today was day 10, however, and I had a realization: just because I’m fasting from makeup doesn’t mean that I can’t indulge in a little at-home facial-action. So I hopped onto Crunchy Betty (AMAZING website full of DIY beauty treatments using stuff you probably have at home, in your fridge), and refreshed my memory on how to mix-up a yogurt mask. (Turns out it’s just yogurt.) So I slathered some greek yogurt all over my face (read about the benefits of greek yogurt on your face here), made a cup of tea, and plunked myself down in bed to moderate comments and answer emails. To be honest, all of this sudden interest in my blog is cool and all, but, well…I’m not writing as much as I was before that one post blew up. And that’s the whole point, right? Writing? I haven’t done any research for my book (which I’m hesitant to even call a book, because I don’t even have an agent yet) at all in the past four days, and I don’t like how administrative tasks are eating up all of my actual writing time. So while I’m enjoying engaging with so many people ( well over 1,000 comments in that thread so far), I do look forward to getting back to my regular schedule. There’s no book if I don’t write it. Oh also, we’re moving. In three weeks. And Ellie’s birthday? Also three weeks away. And the only way any of that is related to the makeup fast is that all of the stress (good stress and bad stress) is seriously effecting my skin. Hence the yogurt mask. If you’ve never been to Crunchy Betty, and you’re into DIY beauty recipes, then head over. You’ll love her, I promise. Spiritually, I haven’t felt much movement on the “loving what God gave me” front, but boy have I been strong in the Spirit. I have a feeling the “loving what God gave me” will come slowly and naturally, and that the margin created by the fast is what made my big-time post possible. Regardless, I’m grateful to be used for a purpose, and to see so many people talking about God as a result of that post. It’s incredible. You won’t hear from me about the makeup fast again until Monday, so until then, have an excellent weekend! Please join me! You can participate as passively as cheering me along (I will need lots of encouragement), or as actively as joining me in fasting from makeup for the full 40 days. I would love to have some ladies on this journey with me! If you’re interested in joining me, I’ve made a Facebook group where we can keep each other updated on our progress, post links to our blog posts, and generally hold each other accountable. Obviously, we’ll all be starting on different days, so it’ll be fun to cheer each other on through the different stages. 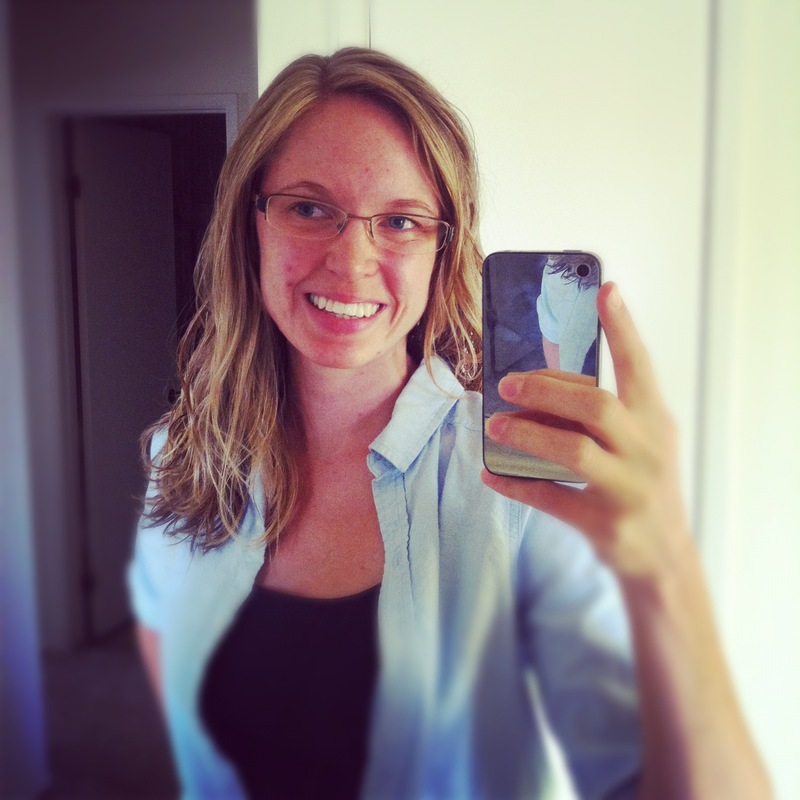 Or, you can just subscribe to my blog over there in the sidebar, or follow me on twitter @melissajenna. If you have any questions or comments, please don’t hesitate to share them. I always love hearing what you guys have to say. Today should be day 7 of 40 of my makeup fast, but since I’ve already declared day 7 as a do-over, I thought I’d hijack today’s makeup-fast post, talk a little bit about fasting, specifically, and explain a bit why fasting from makeup is a step that I needed to take. What Is Fasting, And Why Should I Fast? I can definitely identify with fasting for repentance. Jen Hatmaker sees fasting for repentance as “a tangible way to bow low and repent of greed, ungratefulness, ruined opportunities, and irresponsibility.” To which I say yes, yes, yes and yes. Though I consider myself as grateful and not greedy, upon further inspection, some of my habits prove the opposite. My dependency on makeup is just one example. In my greed for external beauty, I’ve spent hundreds of dollars and just as many hours applying makeup to cover-up and alter what God has given me. What am I saying to God when I refuse to be seen without makeup on? 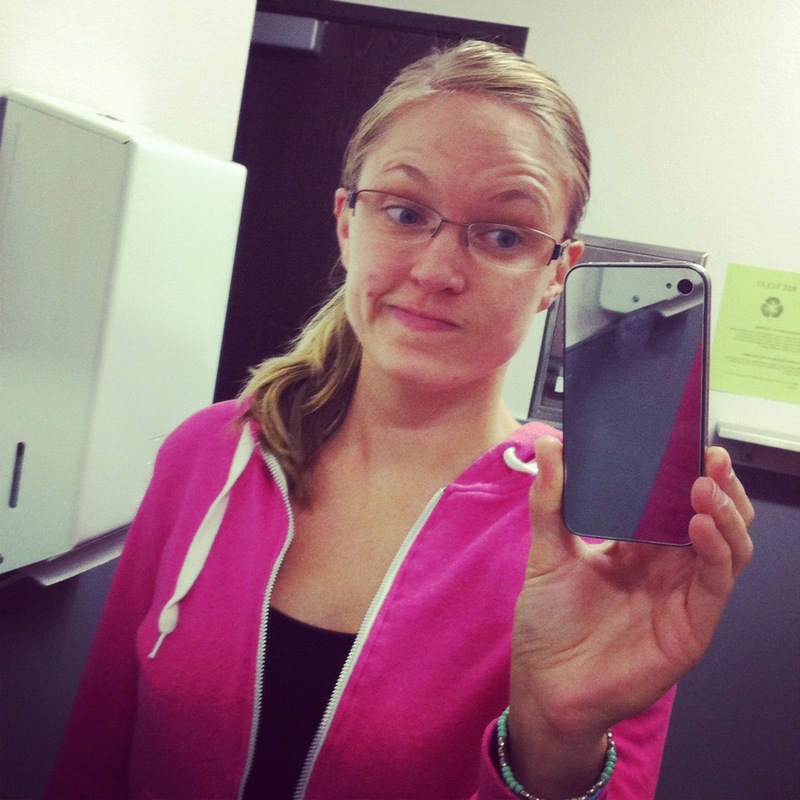 What am I saying to others about God when I refuse to be seen without makeup on? If I was grateful for the face God gave me, would I feel ashamed of it? Would insist that I know better–that the world knows better–and feel incomplete without altering my appearance? I like to tell myself that I am grateful, but if I’m going to be honest: I’m not. I do not like my naked face, and I’m embarrassed to be seen in public without makeup. I can also identify with fasting for preparation. If something as simple as being seen barefaced is such a challenge for me, how prepared am I to reflect God to the world? Through this fast, my prayer is that God will continue to equip me for whatever work he has set before me. This fast is one way that I can show him that I’m serious. That I want to be less concerned with myself, how I look, and how others perceive me, and more concerned with Him, his purposes, and his will for my life. That I am ready to set my earthly comfort and desires aside and follow Him wherever he leads. I want to know whether it is God’s will that I pursue writing, and I want to know what he would have me say. And can I tell you something? God is making that cloudy picture I had very clear. He is faithfully answering my prayer. The incredible response to the post “50 Shades of Magic Mike” is sudden and alarming proof. I finally agreed to step out in faith and say “yes” to the words God put on my heart, and, at the time of writing this, that single post has received more views and comments than my blog as a whole received LAST YEAR, or the year before that. God’s heart is all over that outpouring of support, the beautiful encouragement, and the strengthening correction I’ve received from my brothers and sisters in Christ. I hope that explains some aspects of fasting a bit better, and you understand a little more why it is important that I’m abstaining from makeup for 40 days. And before you go telling me that I’m taking myself too seriously, I encourage you to read the very first post in my makeup-fast series. Many of your concerns will be addressed in that post, and it will save you the time of commenting on something that I’ve already discussed. On a side-note, here’s the project I did at work yesterday, which is why I had to wear makeup and am calling day 7 a do-over. Today was supposed to be day 6 of my makeup-fast, but I’m declaring today AND tomorrow a do-over. Allow me to explain myself. If you’re new here, I work, part-timeish, as a writer and host for iFixit.com, and when I’m hosting, I appear on camera, and when I appear on camera, I must wear makeup. That makes fasting from makeup hard, and presents some unique challenges. Last week, when I went in for filming, I arrived at the office barefaced, applied my makep, filmed my segment, and then promptly washed my makeup off. Today was different, because today there was a film-crew from France in the office, capturing interviews and maybe some b-roll, and I was NOT ABOUT TO BE CAUGHT ON FRENCH NATIONAL TV BAREFACED, Y’ALL. Hate on me if you want to, but in all seriousness, I might use some of that footage in my demo-reel, and I cannot be looking like a wildebeest in my demo-reel, OKAY? Okay. Glad we’re clear. So I arrived at the office this morning in full makeup, and because I forgot to also pack my face-wash and moisturizer, I couldn’t wash my makeup off before I left. Because of all of this, I am declaring today a do-over. And tomorrow? Tomorrow I’m filming alllllll day, and the French crew will still be around, so I’m preemptively declaring tomorrow a do-over, also. This all means that I’m adding two makeup-free days to my calendar, making my new ending date August 8, 2012, because I am nothing if not committed. Last thing, I promise. I’m beginning to notice that lots of women don’t wear much makeup. I mean, basically everyone I see wears some makeup, but many ladies only have on mascara and lipgloss. Was I the ONLY one applying my makeup with such regimental zeal? How come none of you told me this, huh? Isn’t that what friends are for? To tell you when you’re being a complete moron? Please, friends, I invite you to tell me I’m being a moron, if, in fact, I am being a moron. I know I’ve said this already, but I LOVE how much time I have in the morning, now that I’m not putting makeup on. It feels so good to be able to leave the house so quickly! On Friday, Ellie and I went swimming, and usually we don’t leave the house until 10:15-10:30; this time we left the house at 9:15! All because I didn’t have to keep Ellie entertained while I applied my makeup (it takes at least twice as long to do my makeup when Ellie is around). When we got to the club, it was practically empty, and there was no one else in the pool area. So for a full hour we had the pool and sauna all to ourselves. It felt like we were on vacation! And can I tell you something surprising? Only one person has said anything about my naked face, and it wasn’t even critical. I would have thought for sure that someone would have told me I look unwell, or that I look tired by now. (I’m sure no one has commented because they all know that I’m fasting, so they’re already expecting me to look terrible. My friends are very kind like that.) But regardless, I’m pleased. I really hate being told I look tired, only because I’m not wearing mascara, so this is a welcomed surprise. Church-folks should be the least of my worries. I mean, “judge not,” right? But NONE of them had ever seen me without makeup. Not even when I was sweating to death on a rooftop in Mexico. I just look…different. Well, only ONE person said a thing at all, and it was only because we’re buddies on Instagram, and she happened to see my naked face photos. So, I’m chalking that up as a win. Side-note: I was by myself all weekend because my husband was out of town for work, so I completely forgot to take photos to prove that I’m not sneaking makeup on when you guys aren’t looking. I promise: I was barefaced. On Sunday night, while I was pulling my hair back, I caught a glimpse of myself in the mirror, and for a fleeting moment, I liked my naked face. I mean, I didn’t think it was pretty in the way that faces are generally regarded as pretty, but I liked it. But even then I thought, “why do my eyelashes have to be SO blonde? 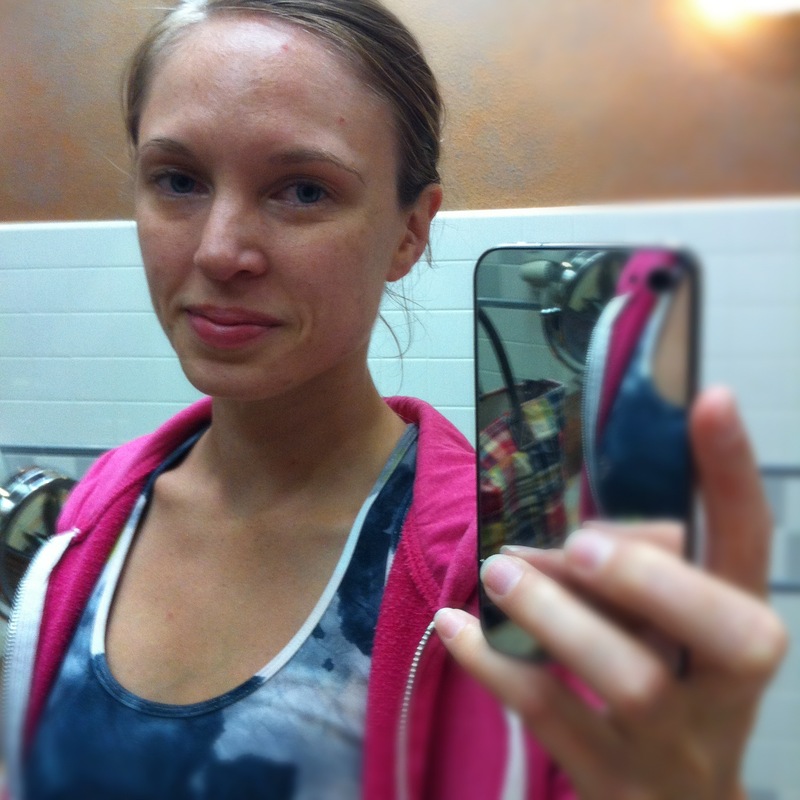 Ugh.” But hey, Sunday was day 5 of 40, and I already had a moment where I liked my naked face. That’s progress! I’m just getting to the point now where going around naked-faced isn’t feeling completely mortifying, and I still have 35 more days ahead of me. I expect that now that I’m edging out of complete and total discomfort, my ears will be a bit more open to what God has to say to me, and I have a feeling that that’s when all the difficult, heart-changing stuff happens. 35 more days to go! In the shower this morning, I was thinking about my decision to avoid eating lunch in public yesterday, and something about it was really bothering me. I couldn’t shake the feeling that I wasn’t avoiding seeing people I know just because I am ashamed of my naked face. There was more to it than that, but I wasn’t sure what. After I finished drying my hair, I got to thinking about where I would go to do the morning-part of my work. (I work best when there is food and coffee readily available.) Usually I go to Sally Loos, because the coffee and food is BOMB, and I like the atmosphere. But today, I decided to stay in (again), and that’s when I got to thinking: how much of where I go is determined by what I look like? On the flip-side of hiding from people I know because I don’t like my face, there’s this: am I going out in public because my face looks pretty? Am I showing off or something? Yikes. Now, don’t misunderstand me on this one: I’m certainly not getting super dolled-up every day, just to go to all my favorite local haunts preening in front of strangers and acquaintances. I’m no Kardashian. If you know me at all, you know that my standard makeup MO is to appear as natural as possible. I’ve never been one of those ladies who looks like she’s wearing a lot of makeup. But, isn’t that a little bit worse? A little more deceptive? Diligently applying makeup in order to give the appearance that I’m naturally poreless? Kinda sketchy now that I look back on it (you know, with a whole TWO DAYS worth of hindsight and wisdom and perspective). So no, I wasn’t showing-off in a show-offy way, but in a somewhat more pathetic, somewhat more self-satisfied way. I’m pretty sure one of the reasons I do so much of my work outside the office is because I like to be seen looking nice. And it pains me to say that in public. I care so much about how other people see me, even strangers, and I’ve placed so much of my value in being recognized as pretty. It’s really humbling to stare so directly at my flaws, both character and physical, and it’s hard to not feel compelled to cover them up. I’m glad that putting some much-needed distance between me and my makeup bag is already revealing some handicaps in my character, but I’m not going to lie: I’d rather you all didn’t know I’m so shallow. Even now, after recognizing that I care way too much how people see me, my primary concern is that people don’t think I’m too shallow. When will I stop caring how people see me? And where is God in all of this? Why can’t I look to him first, like, ever? Why is it so natural for me to seek first the approval of others? I really, really want that to change. We did some filming at work today, so I had to “put my face on,” and a funny thing happened: I really didn’t like my “made-up” face. It just looked…wrong. Like I was trying too hard. So, when I was done shooting, I went into the bathroom and washed off the makeup (just like I promised I would, y’all! ), and it was actually somewhat relieving to get that stuff off of my face. Not that I like my naked face any better, because I don’t. But still. Washing it off felt good. 2 days down, 38 to go! 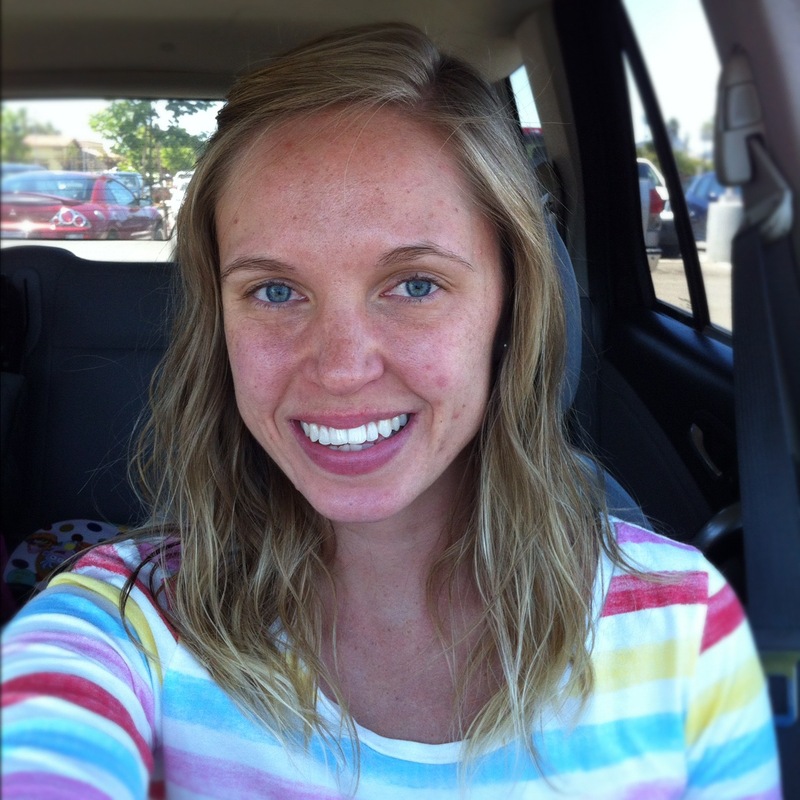 Have any of you started going makeup-less? Tell me all about it! I don’t know why I started this fast today. This is the worst time of the month for this kind of thing, on account of my crazy hormones giving me the skin of an adolescent girl. I was getting Ellie ready to go to her Nana’s, and I brought my makeup along with me, and just never ended up putting it on. (I was in a hurry.) Then I drove to work, parked, and stared at my makeup bag for the better part of a minute. 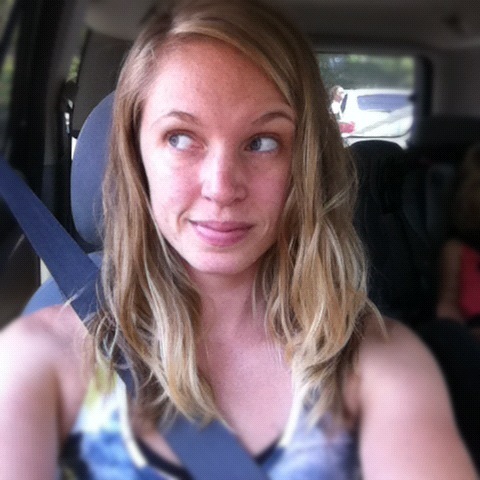 Normal-me would have put my makeup on in the car (I’ve done it countless times), but today I just knew that it was the beginning of the fast. So I grabbed my makeup bag (not unlike a security blanket? ), and snuck, barefaced, into the office. Want to hear something embarrassing and stupid I did today? (Of course you do.) I was at the iFixit office (none of them said a WORD about my hideous face, by the way. Such gentleman, those guys. ), and when it came time to go to lunch, instead of going to lunch in public, like a normal person would, I was so self-concious that I drove home to eat lunch by myself. And I never went back to the office. Fortunately for me, I can write from anywhere, so I ate my lunch on my own, and then plunked myself down at my desk to begin working on scripts for upcoming projects. On the upside, I saved myself 7ish dollars on lunch. On the downside, I am so ashamed of my naked face that I’m actually avoiding contact with other people. Wowza. Tomorrow we’re going to do some filming at work, which means I’ll have to “put my face on,” and it is going to take every shred of will-power I have to wash that stuff off when I’m through shooting. To say that I’m eager for a change to take place is an understatement. I am so totally and completely uncomfortable in my own skin, it’s pathetic. Oh, and I took a picture to commemorate this awful day. Why did I do this to me? I kept my glasses on for the picture, because they kind of make up for my invisibly-blonde eyelashes. I’m so cowardly. 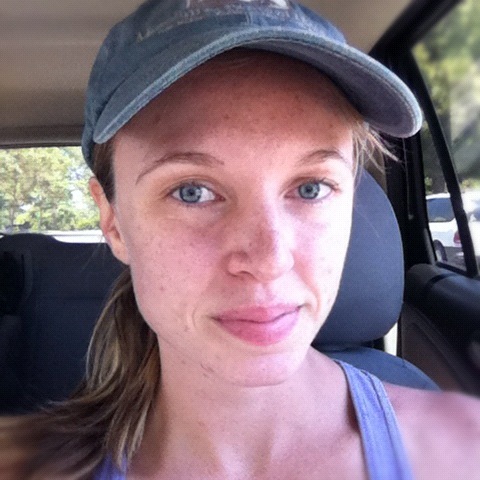 First, the point: I am quitting makeup for 40 days. I began today. Next, the ugly truth: I do not like my naked face. I think it is ugly. Showing my naked face in public terrifies me, and that makes me sad, and I think that is a problem. This includes all standard makeup products, but also tinted moisturizer, tinted lip-balm, and pore-reducing or anti-shine lotions and potions. If it feels like cheating, it probably is. This does not include: my standard moisturizer or regular old chapstick. A girl’s gotta stay hydrated, am I right? 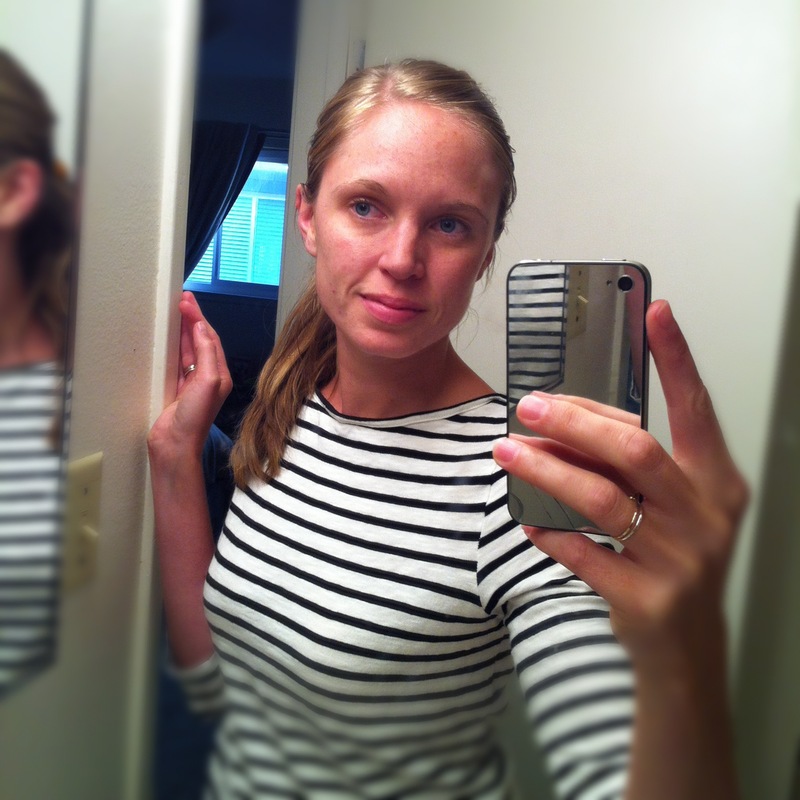 I will not avoid having my picture taken while barefaced, and I will continue to video-blog, au naturale. Okay, that’s basically the gist of it. The rest of this is supporting exposition that I’d love it if you read, and I insist that you read before you make any sort of comment whatsoever. The rest of this is the story behind this insanity. I know, I know, you’re thinking that I’m being too hard on myself. “It’s JUST MAKEUP” you’re saying. “We ALL do it.” Trust me, I hear you. Really, I do. But something inside me has snapped, and there’s no going back to the way things were. I LOVE makeup. I’m a makeup-aholic. Is there anything more fun than taking the time to do your makeup really well? Sephora is my favorite store of all of the stores, and every time I walk in there I get giddy with the excitement of hunting out a new product and sampling all of the goodies. I love the artsy quality of makeup. I love what can be communicated by makeup: how you can be a blushing, natural-looking girl-next-door one day, and a smoldering femme fatale the next, just with some smudges of highlighter or blush, or some well-placed lashes. I enjoy makeup for many of the same reasons that I enjoy fashion. Many of you already get me on this point, so I’ll leave it at that. Nowadays, the idea of leaving the house without makeup is (literally) terrifying. And this is a big, ridiculous problem. For perspective: Looking back through my photos, I can’t find a single picture since junior high where I wasn’t wearing makeup. Summer camp, 12 hour dance rehearsals in the heat of the Texas summer, doing missionary work in rural Mexico, I’m wearing makeup in every single picture. The photos taken during the labor and delivery of my child? I’m totally wearing foundation, bronzer and mascara. (I remember applying it before my contractions got too painful to concentrate.) It’s the bronzer-whilst-birthing that makes me realize I have a serious mental-problem. I remember my reasoning for applying makeup before I gave birth to Ellie: “these pictures are going to be around for who knows how long” I told myself. “They define this moment of my life. Why not have an even skin-tone and pretty eyelashes?” It all sounds harmless enough, but if a woman can’t feel at ease with her face while she’s giving birth to a child, what hope does she have for feeling at ease with her face in any other circumstance in life? I feel like I need to repeat myself again, because someone out there is not hearing me: I love makeup. I love being pretty. I love making a good impression. I love “going the extra mile” and polishing my appearance. I love that with a few products from my makeup bag, I can stack-up against the likes of hollywood starlets. I’m a die-hard makeup fanatic; I get all of the reasons why makeup is awesome, and I am not judging you, or your relationship with makeup. But my reliance on makeup not just to feel beautiful, but to feel acceptable to be seen in public, is crushing my heart, and is preventing me from seeing myself the way God sees me. The only way I am going to break free is to give up makeup cold-turkey. Not for forever, but for long enough that my vanity can be completely uprooted, and a healthy appreciation and respect for the face that God gave me can grow in its place. I approximate that this will take (at least) 40 days. Surely a week or so would be good enough, right? 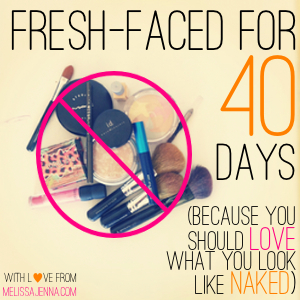 I have a couple of reasons for setting 40 days as the minimum duration of my makeup-fast. I am stubborn, and it takes me a bit longer than some other people to get over things. Most research says that habits can be broken or formed in 21 days, and since 40 days is roughly double that, I feel confident that real, lasting change can occur. In the Bible, a 40-something time period, whether days, months, or years is always a period of testing, trial, probation, or chastisement (but not judgment) and ends with a period of restoration, revival or renewal (for example, Jesus 40 days spent in the desert, fasting and being tempted by the devil). There is a lot of hocus-pocus-ey sounding stuff on the Internet regarding the significance of the number 40 in the Bible. Honestly, a great deal of it sounds superstitious to me, and I am not an adherent to any kind of superstition, but, if Jesus chose to fast for 40 days, I see no problem with mimicking him. But mostly numbers 1 and 2. For several months I’ve prayed that I would grow to love my naked face more than my “made-up” face. And guess what? God has not blessed me with an appreciation for my naked face, which comes as no surprise to me, because that’s not really how God works. What God did do, however, was push Jen Hatmaker and her book “7: An Experimental Mutiny Against Excess” across my path, and slap me in the face with this question: “What, in my life, if taken away, would alter my value and my identity?” Yikes. So that’s the seed that sprouted this whole insane, scary, exercise in self-torture. Jen’s book “7” inspired me in many, many other ways, but the only thing that actually scared me was the idea of going makeup-less. I know how trivial of a problem this might sound to some of you, and I get that. I get how trivial and petty and self-absorbed I sound. “Privileged white-girl from beautiful Coastal California chooses to fast from her makeup collection that probably costs more than some people’s cars.” Please believe me when I tell you that I know this exercise epitomizes the expression “first-world problem.” But I also know that each little step I take is valuable, and just because other people might think it’s silly doesn’t mean it’s not important. I need to get over my vanity. I need to get over myself. What will people think of me when they see me barefaced? Will people assume that I’m lazy? That I don’t care enough to put effort into my appearance? Can I handle being told I “don’t look so good” every day? Or that I look tired? Or being asked if something is the matter with me? Will people hear about my fast and think I’m some holier-than-thou crazy-lady? Or a militant feminist with an anti-makeup agenda? 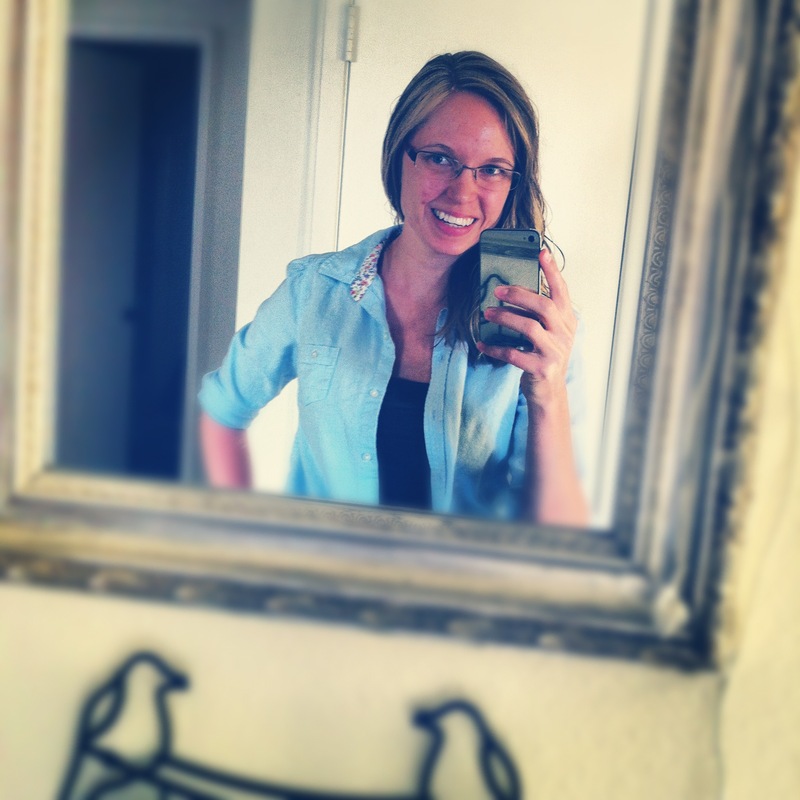 Will people look at me and think, “Gosh, if she just tried a little, she could be kinda pretty?” Or, “I feel sorry for that uggo’s husband?” It’s my obsession over what others will think about me that really upsets me. My primary concern shouldn’t be what people will think of me, it should be what my Creator thinks of me. This verse keeps coming to mind: “I praise you because I am fearfully and wonderfully made; your works are wonderful, I know that full well.” (Psalm 139:14) And this lyric by the David Crowder Band: “You make everything glorious, and I am yours. What does that make me?” I know in my head that’s what I should believe, but my heart puts so much value in how others consider me, that this whole idea of simply not putting makeup on has my stomach in knots. It’s ridiculous, and that’s why I have to do something about it. What do I expect at the end of the 40 days? For one thing, I expect that I’ll be thrilled with how much time I’m saving by abstaining from makeup. And of course I’ll also be saving some money. But bigger than that, I hope I’ll grow to love what I actually look like, without all the cosmetics, and come closer to seeing myself the way God sees me. And I hope that I’ll have more grace for the rare makeup-less women I come across in the world. And for the record, my husband thinks this is my best idea yet. He thinks it’s crazy that I don’t like my bare face. He’s a keeper, that Mr. Godsey. So, for the next 40 days I invite you along with me. You can participate as passively as cheering me along (I will need lots of encouragement), or as actively as joining me in fasting from makeup for the full 40 days. I would love to have some ladies on this journey with me! If you’re interested in joining me, I’ve made a Facebook group where we can keep each other updated on our progress, post links to our blog posts, and generally hold each other accountable. Obviously, we’ll all be starting on different days, so it’ll be fun to cheer each other on through the different stages. If you’re joining me on this fast, of course you can be as flexible as you want to, but I encourage you to go Full Monty on this one. Also, feel free to use the button I’ve made (up at the top of this post, or in the sidebar) to link-back to this insanely long post, so you don’t have to do all of the ‘splaining to your friends if you don’t want to. For full disclosure, I tend not to wear a lot of makeup in my normal day-to-day life. (I find that it makes me look older, and–blemishes excluded–I like how I look naturally.) But when I do “put my face on” I use the serious, heavy duty stuff that’s meant being photographed under intense lighting by HD cameras (for work). And if you’ve ever used that stuff, you know what a nightmare it can be to remove. It is, after all, meant to stick all day long, through sweat and the like. Massage it all over wherever you’ve applied makeup (including your eyelids and underneath your eyes). Take your time and enjoy it! Pretend you’re getting an awesome, overpriced facial during which the esthetician tells you all about how Nicole Kidman swears by almond oil or whatever. Wipe the oil off of your face with a cotton-round or a clean washcloth. If you’re thinking that applying oil to your skin is bad or will cause breakouts, you’d be mistaken. Sure, certain oils are comedogenic (clog pores), but olive, almond, grapeseed, castor oil, and many many others are perfectly fine for your skin. In fact, they’re good for your skin. Each oil has it’s own beautifying properties (castor oil, for example, is a great cleansing agent, and is better for naturally oily skin), and if you really want to get fancy, you can make a custom blend of your own, specifically tailored to your skin needs. (Head over to Crunchy Betty and read all about it. Her website is BOMB for natural beauty remedies. Can’t recommend it highly enough.) And let’s not forget that oils are excellent at preventing premature aging, which in itself, is worth it for me. The fact is that most people over-cleanse their skin and hair, stripping it of it’s natural oils, causing their hair and skin to overproduce oil to make up for it. It’s a vicious cycle. Would it surprise you to know that I wash my hair once or twice a week? (GASP!) That’s because I use an extra mild shampoo, and my hair doesn’t produce nearly as much oil as it used to. (It took a couple of weeks to for my hair to transition.) And would it surprise you to know that I use a facial cleansing oil and not the foamy stuff? “Like dissolves like,” so in order to best remove all of the dirty oil on my face, I should replace it with clean oil, not strip it entirely. It takes some getting used to (I happen to like frothy, foamy face-washes), but I promise you that once you give it a fair chance, you won’t go back. Solution: 100% Pure Almond Oil is an all-natural oil that’s perfect for nourishing and reviving any skin type. Almond Oil is easily absorbed and won’t clog pores, promoting clear, soft, healthy skin. This all-natural skin-nourishing oil is ideal for the entire body. Almond Oil is an all-natural oil derived from pressed almonds. Vegetable-derived oils date back to Biblical times, when they were mixed with fragrant herbs to create traditional ointments. Solution: 100% Pure Grapeseed Oil is a light, odorless oil with mild astringent and emollient properties. This versatile oil contains numerous essential fatty acids including Linoleic, Oleic, Stearic, Palmitic, Myristic and Lauric. its rich, silky texture is perfect for soothing away dryness and irritation and is suitable for all skin types since it won’t clog pores or cause break-outs. Grapeseed Oil is perfect as a base for lotions, and it’s mild enough to use as a conditioner for all hair types. Have questions? Fire away! I’m always happy to share information, especially if it can save you a few bucks. Enjoy the an-home facial!